Watch this video and learn how Kerasilk Keratin Blow Dry Smoothing System can give you long lasting smooth, frizz free hair for up to five months. Available now in our Exeter Hair Salon. 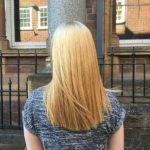 If you would like to come in for a free consultation regarding our Keratin Blow Dry Treatment then simply fill in the form to book a free consultation now.